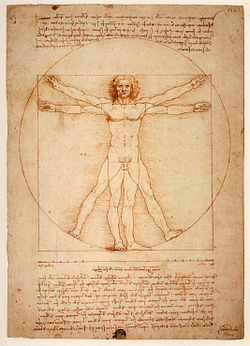 It is ourselves who are responsible for limiting our own freedoms - because we conform to the status of "PERSON". 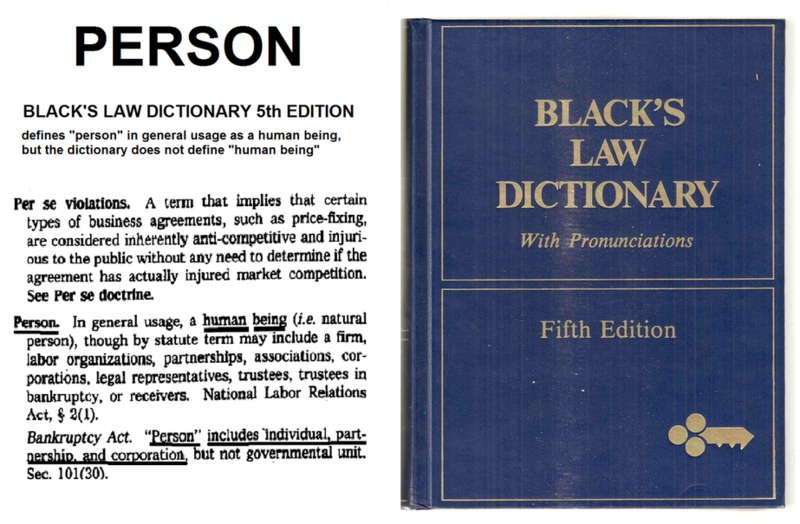 Henry Campbell Black published the first edition of Black’s Law Dictionary over 100 years ago with the 1st edition in 1891. 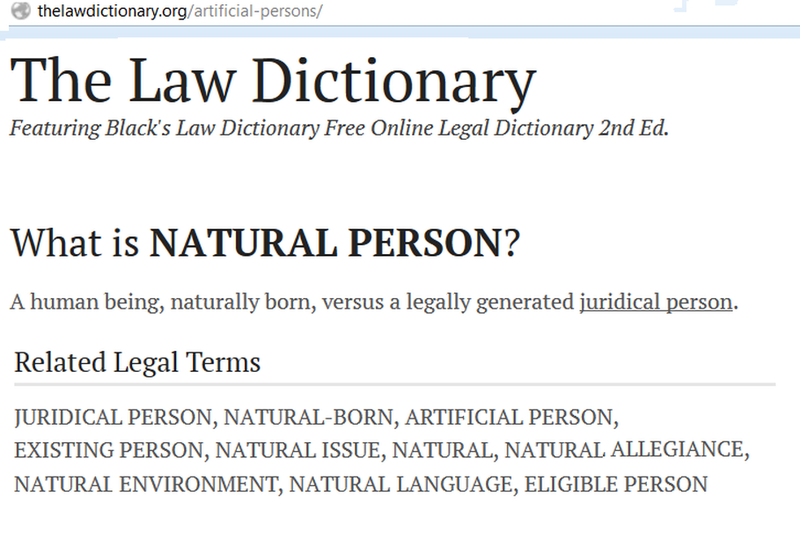 It has long been regarded the definitive legal dictionary by lawyers and law students from around the world. 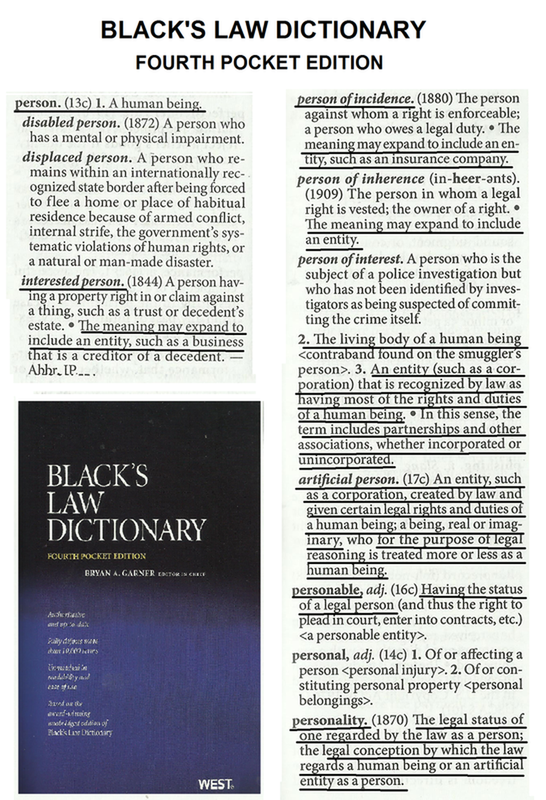 Black's Law is cited by judges and lawyers more than any other legal dictionary, it comes recommended by the law faculty, and is available in the pocket format used below and in a variety of other useful editions. The law is a profession of words. By means of written language national constitutions come into existence, laws and statutes are enacted, and contractual agreements between private individuals take effect. 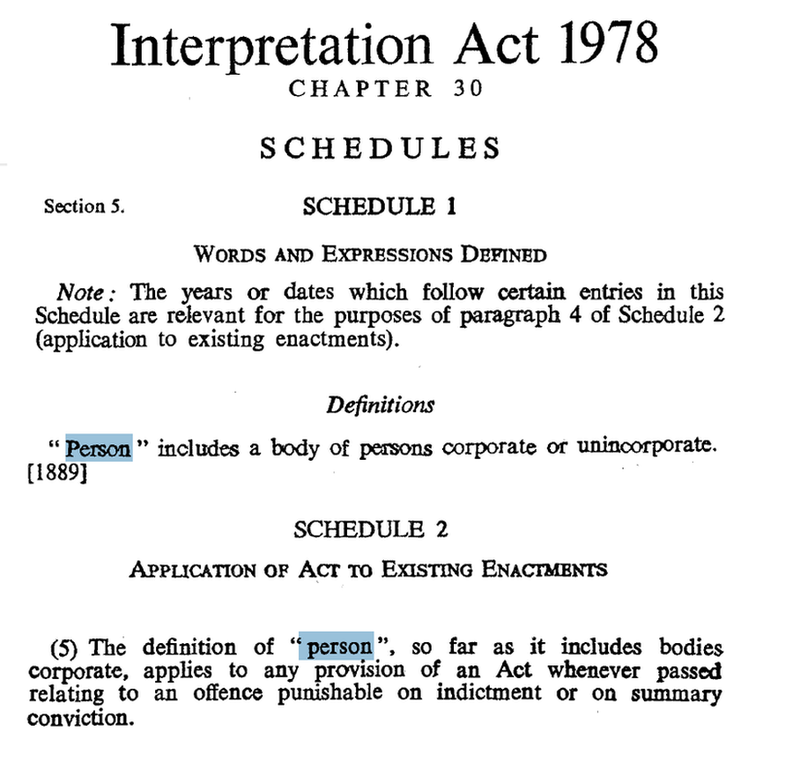 Spoken language is just as indispensable to the legal process. One need look no further than the courtroom, whether it be the interrogation of plaintiffs and defendants, the testimony of witnesses, the pleadings by attorneys, or the instructions from a judge to a jury. The legal implications of language continue to extend far beyond the courtroom – to interactions between police and suspects, to conversations between lawyers and their clients, to law enforcement’s use of surreptitious recordings, and to such unlawful speech acts as offering a bribe, or issuing a threat, or making a defamatory statement. 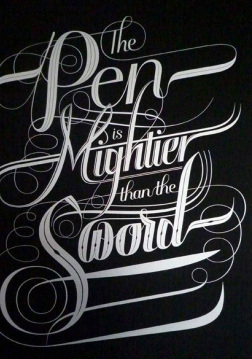 A little reflection suffices to reveal just how essential language is to the legal enterprise. Yet academic research on the intersection of language and the law is a relatively recent phenomenon, with much of the work dating from the 1980s. Its not widely known or understood that, in English and American law, business corporation's, associations and partnerships have the status of a person.